Basic dog training rules are critical for you to follow to get the most out your training program. Review the rules below. Repeat them aloud and work to understand each of them. These could make or break your training efforts. The only time you are teaching your dog is when she is making a choice. You must use the correct tool at the time of the choice to get the results you want. Praise is the only way to truly teach your dog what you want in a way she is willing to do that thing. RULE #1) The only time you are truly teaching your dog is when she is making a choice and you praise for that choice. This means: First you have to know that your dog is making and choice and second, you have to know what you want your dog to do. Part 1: Frustration and anger change expectation. When working with your dog on a command she knows, once you give three corrections for a particular command it is time to move on to something else. Either release your dog from that command (by saying “All done”) or physically put your dog into the desired position. Part 2: A correction is when your dog to stops doing what she is doing and pays attention. This means you need to correct to a level that she pays attention. If you correct out of anger, then you probably are correcting too hard and chances are you will not praise once she responds to you. If you correct too softly, then you are not making your dog stop doing what she is doing and pay attention. This would not be considered a correction. Part 3: When you are using distraction as a part of the training, if you have had to correct your dog back to the command three times, then that level of distraction is too high. Are you over-motivating for that command? Are you under-correcting for that command? Are you using praise at the appropriate moment? Are you using praise enough in other aspects of training? RULE #3) Praise always has to be at a much higher level than correction. RULE #4) Always use motivation before correction when there is a choice. When you are using motivation as a tool, your dog is more likely to remember the command and more like to want to do that command. Unwanted behavior: If you are correcting for a behavior you never want your dog to do, make the correction a verbal “NO.” Once the correction has been given, you ignore your dog for at least one-minute. Never praise your dog after a “no” correction. A behavior to stop when told: If your dog is doing something you are okay with and you just want them to stop on command, the correction is a word or phrase (such as “Hush”). If they then stop the behavior (go quiet), you immediately praise them. If they don’t stop the behavior, you then correct with a “no” and follow the first part of this rule. RULE #6) The Rule of “No”: Whenever you pull on the leash you must say “No” and whenever you say “No,” you must pull the leash. RULE #7) Always end a command on a positive note, no matter how you feel or what happened during that command. RULE #8) 10:1 Ratio: For every one time you correct your dog for anything you have to praise her ten times for making the decision you want in that situation. Lifetime 10:1: You know you have reached the level of praising your dog ten times more than you ever have corrected her for doing a behavior in her lifetime when she chooses to do that behavior even when she is on her own. RULE #9) Your dog must do any one thing ten times in a row before moving up to the next level of training. RULE #10) Stay is incorporated in all commands and does not need to be said. Your dog is released when you say “All Done”. RULE #11) ALL DONE means your dog is finished with the last command you gave. Use this command throughout your workout. Usually the novice trainer will only use this command at the end of the entire workout or only while praising for completing a command. This creates that your dog thinks she is done with the workout entirely and/or that praise is also a release. RULE #12) Enjoy your dog and enjoy your workout so your dog can enjoy you! Once you have completed training, you should still continue to work on the commands for the next month or so at least two to three times a week. Each session should include three to five of each command you have learned up to this point. You should continue to work on the place command (two to three times a week) until you can build-up that your dog will hold the command for 30 minutes. When starting the off-leash process there are 3 rules to follow for consistency in training. The following is just basic premise of each rule with a brief description. Without having gone through my training program, these rules may not have the same impact or mean much to you. They are here as a follow-up for past clients as well as a peek inside my basic theories for training. These rules are only to be used when your dog is off-leash and these rules are only for you, the owner, they have nothing to do with your dog. Whenever you give a command, no matter what happens, you must always end that command in a positive way. Once you have given a command, you cannot touch your dog or the leash, and you must do everything in your power to get your dog to do the command. If the command it unsuccessful, before you ever do that command again you have to pick up the leash and do that command 10 times before trying it off-leash again. You can listen to Bennie directly by clicking the play button in the player , or read the notes below. The only time you are teaching your dog is when she is making a choice. You must use the correct tool at the time of the choice to truly get the results you want. Praise is the only way to truly teach your dog what you want in a way she is willing to do that thing. 1. Frustration and anger change expectation. When working on a command or lesson, if you give-up on your dog or change the way you are teaching, you have changed your expectation. e.g. You call your dog to come to you from across the yard. She does not come to you on the first call so you raise your voice and call again. Again, she does not come to you, so you go to her, scold her, grab her by the collar, and walk her into the house. From the moment you called her the second time, your expectation changed. By going to get her instead of getting her to make the choice to come to you, you have changed your expectation to going to her instead of her coming to you. 2. Structure is rules. Just like there are rules in games there should be rules for your dog. The more consistent you are with the rules, the less your dog will test the boundaries. Create structure and be consistent. It is your dog’s job to test the boundaries. If you find yourself being frustrated because your dog keeps doing the same thing you do not want, over and over; then you have to look at how consistent you are with that behavior. 3. Praise must always be at a much higher level than correction. 4. Have a phrase, or word, that means your dog is finished with the last command you gave. Use this phrase throughout your workout. Usually, the novice trainer will only use this phrase at the end of the entire workout. Sometimes, the novice trainer will only praise their dog once a command is completed. This will create that your dog thinks she is done with the workout entirely and/or that praise is also a release from that command. 5. For every one-time you correct your dog for anything, you must praise her ten times for doing the thing you want in that situation. 6. A dog has truly not learned a command until she has done that command, with no prompting, 1,000 times. 7. Always end a command on a positive note. 8. Always use motivation before correction when there is a choice. When you are using motivation as a tool, your dog is more likely to remember the command and more like to want to do that command. 9. Enjoy the workouts so your dog will enjoy you. 10. Obedience: The willingness to obey. 11. Praise: Attention for a behavior when your dog has made a choice. In order to teach your dog you must give positive attention when she has made the choice you want her to make. This is the only way you are teaching and training your dog to be obedient. 12. Motivation: Anything positive you use to create that your dog pays attention to you then makes a choice. Anything that is overused as a motivation creates an expectation from your dog. 13. Correction: Anything negative you use to make your dog stop doing what she is doing and pay attention to you. Anything that is overused as a correction creates fear in your dog. 14. Control: Control is a funny thing. When I ask people what this means, most times I get answers like ‘making things happen,’ ‘being aware and in power,’ or ‘being the dominant.’ Control is really about confidence. It is about understanding that in any given situation you are confident you can handle that situation. Because when you look at the definitions of control it seems like it means to ‘be over’ or ‘to dominate’. By this definition you are seeing another person as the person in control. You are not looking at yourself. Control is only about you. A dog sees control only about herself. When a dog is continuing to do behaviors you, as an owner, do not want, it is because that dog feels it is in control and can still test the boundaries. 15. Dominance: This is about creating trust. In order for a dog to fully be obedient, it must trust you no matter what. This trust is created by structure and consistency. The more structure you create and the better you are with being consistent, the better your dog will behave. The reason is because if your dog questions your sincerity, she will continue to test you. If she totally trusts that you will behave the same in every situation then there is no reason to test your sincerity. The less structure and consistency you have, the more your dog is willing to test the boundaries. This even applies to the choices your dog will make when you are not around. 16. 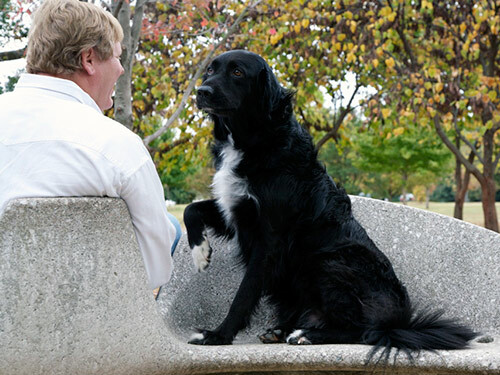 Body Language: This is the number one way a dog learns from us. Your body language can change the mood, direction, or choice from your dog without you even knowing it. It is also why we use hand signals. Dogs pick up on your body language before they pick up on any other type of communication you use. 17. Voice Tone: This is the second way a dog learns. 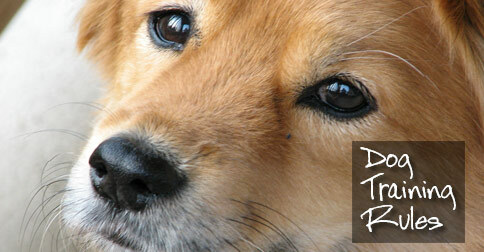 A dog can pick up on the most subtle changes in your voice that will let her know if you are serious or not. Take this quiz to help you figure out how much you know about training your dog. 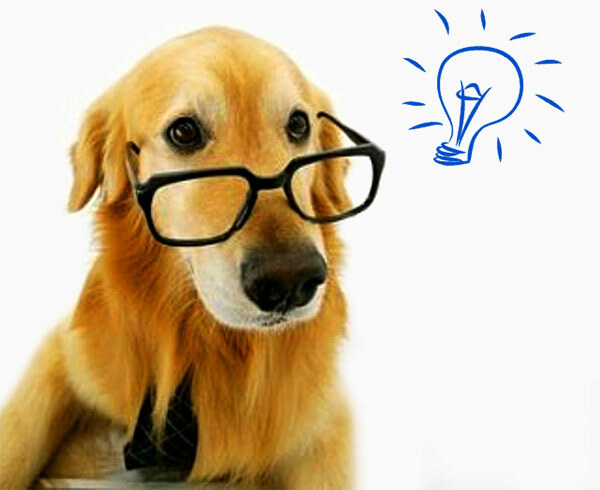 Scroll down below this quiz to register for our newsletter and get instant access to our Free Dog Training Library with two awesome ebooks that will get you off to a GREAT start. Potty training a puppy or dog is one of the most common concerns for dog owners. 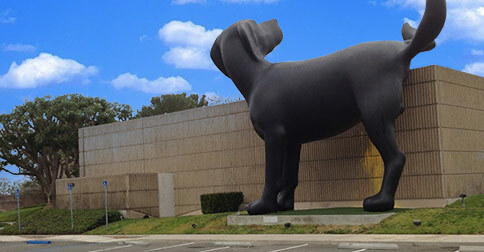 Unfortunately, there isn’t a magic scent, a central location, or a visual aid that automatically attracts your dog and gives her the urge to poop or pee. What you are going to learn here is that through consistency, every dog is potty trainable. We often assume that dogs should ‘just know’ what to do at any given moment. While this is not altogether wrong, a little encouragement plus consistency on our part will really support them in learning all they can. Humans need good potty training to learn how to do it. It’s just ridiculous to think that we can potty train a dog without similar effort. Potty training is a process. It takes time, patience and most of all, consistency. Below you will find a method, not unique nor the only way to train, just good common sense and practical way for good potty habits for you and your dog. This method, although simple and plain to understand, is not always easy. It is just not in most of our nature to do things on such a routine. Things like work, children, and/or social activities always seem to get in the way. This is really not a problem. Do what works for you; just stick as closely to the routine as possible. The better your routine and the more consistent you are, the quicker you will see results. If you follow this program, you can have your dog potty trained in a matter of 30 days. That’s right! 30 days! It takes about three weeks to a month to create a new habit in humans, and dogs are no different! If you extend this routine for 60 to 90 days, you can have your dog going potty on command. Many of my clients have reached this goal, astonished with their own success! Most of all…BE PATIENT! This is a new member of your family. Take your time, you may not even see results for the first week or two, just keep up the consistency and I promise you will be happy with the results. It works! Let’s start with a few basic hints to train by. These may not seem important, but if you really pay attention to these five hints, you can speed up the process. Once you have read (and are willing to follow) these basic rules we can get started on the routine. 1. Pay attention to your dog’s health. Make sure your dog is healthy and free of infections, mites, or anything else that may cause her to have to go to the bathroom. 2. Control your dog’s eating habits. Feed your dog an appropriate amount of healthy food at the same time each day. DO NOT over-feed your dog and DO NOT feed table scraps! 3. Keep play time and potty time separate. Do not mix potty time and play time together. Separate the times and locations when you go outside so your dog will not confuse going out to potty with going out to play. 5. Choose to use one command only. I use the phrase “Go Potty”. You should choose a command that you say for both poop and pee and ONLY that word or phrase. Some say “Do your Business”, “Hurry Up”, “Get Busy”…whatever, just always say that phrase and nothing else once you start the Potty Routine. Get the rest of the puppy potty training guide by registering for our Free Dog Training Library.